Established in 1981, Olayan Descon is a joint venture between Olayan Saudi Holding Company and Descon Engineering Limited. Olayan Descon's capabilities combined with a diversified and rich experience of the two JV partners, distinguish it as Integrated Engineering & Industrial Services Company being fully capable of handling medium to large size projects and achieving par excellence in Engineering Standards. On behalf of SASREF Management, we would like to express our sincere appreciation to Olayan Descon management & execution team for the outstanding shutdown. You & your team did remarkable achievements in this challenging outage in term of safety, quality, & time. Let's keep the same momentum in the upcoming shutdowns. We appreciate Olayan Descon in recognition of their valuable contribution towards successful Mechanical Completion of Technical Grade Urea (TGU) Project on 26 March, 2014. 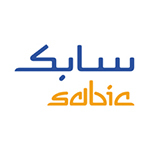 We are delighted to announce the news of award of Supply & Fabrication of Waste Heat Boiler Tube Bundles from SABIC AR RAZI. The scope include Design Verification, Procurement, Fabrication & Supply of Tube Bundles to be delivered in 50 weeks’ time. The award is complimented to Team Olayan Descon. Competing globally, We did it. Focused approach from all team members contributed towards the success. The award is complete confidence entrusted from SABIC towards Olayan Descon’s capability to deliver engineering equipment. We are sure it will break the ice and add value to the technical portfolio of our Engineering & Manufacturing Capability. Well Done Team Olayan Descon. 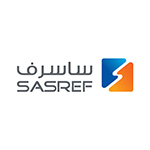 Saudi Aramco Shell Refinery (SASREF) awards the contract “Replacement for Power Transformer” to Olayan Descon Industrial Company. The project scope is not limited to Decommissioning of existing transformer, Supply, Installation and Commissioning of New Power Transformer. The short term project to be competed in 10 months’ time will add value to existing clientele. The award is the display of continuous trust from SASREF over ODICO’s capability to deliver critical projects. Evaluation starting from engineering capability to workmanship, ODICO qualified and superseded among all competition. Hats off to Team ODICO on the award!